Lot 95. Ready in <45 days! First set of photos from previous model. Room sizes estimated. All the upgrades including covered patio, beams at vaulted ceiling, granite in kitchen & master bath, 8' garage doors, under cabinet lighting, designer stair carpet, upgraded light & plumbing fixtures. Tile floors in all wet areas. Owner's suite w/ LARGE closet connected to laundry, separate tub and shower, and vaulted ceiling. Convenient location and Basehor-Linwood Schools! Ask about builder incentive! 4213 N 141st Street (MLS #2071220) is a traditional single family home located in Basehor, KS. This single family home is 2,733 sqft with 4 bedrooms and 3 baths. This property was listed on 12/08/2017 and has been priced for sale at $429,000. Nearby zip codes are 66012, 66043, 66046, 66048 and 66109. This property neighbors other cities such as Bonner Springs, Kansas City, Lansing, Leavenworth and Piper. 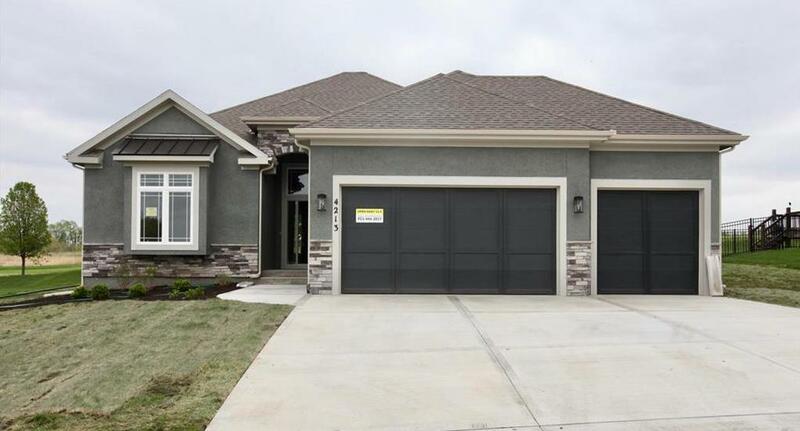 Listing Last updated 04/21/2019 6:30 PM CDT . Some properties which appear for sale on this web site may subsequently have sold or may no longer be available. Walk Score provided by Walk Score. Mapping data provided by Google and Bing.